Lightweight and convenient, one might never guess that the Nighthawk holds two razor-sharp guillotine blades beneath its unassuming exterior. Available in three colors, the Nighthawk slices through up to a 60 ring gauge cigar with ease, providing a precise cut to compliment your favorite smokes. Great cut at low price!! WOW!! This is made of plastic, but not cheap lightweight plastic and has a single action cutter(only one side needs to slide). This thing is super sharp and provides a fast, accurate cut. I was very impressed. 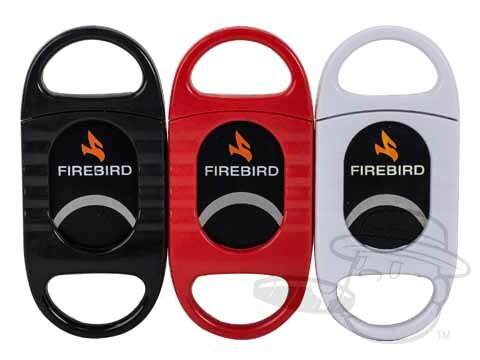 Firebird Nighthawk Cigar Cutter By Colibri is rated 4.8 out of 5 based on 5 customer ratings.